We are busy getting ready for a great celebration of 10 years as Hyde Community Action. 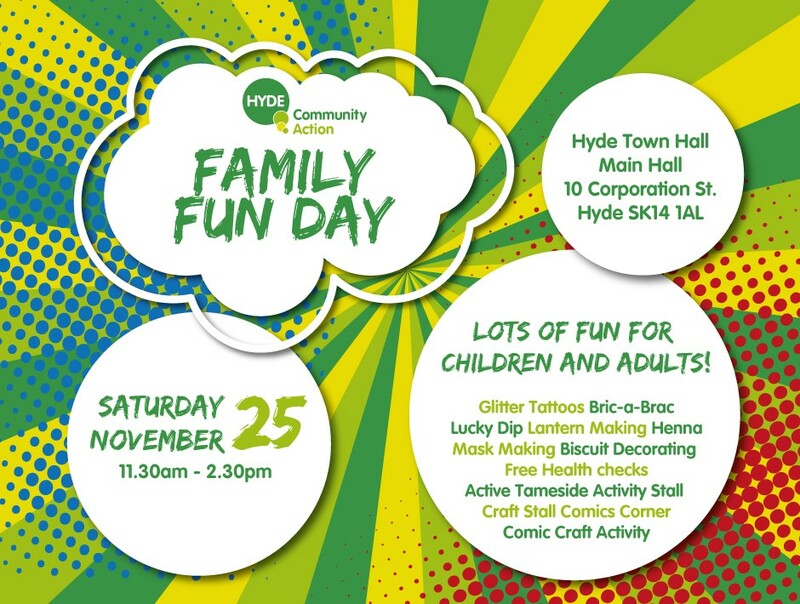 The 25th of November will see Hyde Town Hall’s Main Hall transformed from 11.30am-2.30pm into a hive of activity with lots of fun stalls and activities celebrating the work we have done over the last 10 years. Staff, Trustees and Volunteers have all been getting busy preparing venue arrangements, activities and collecting donations from local businesses and people. Join us for lots of family-friendly-fun, sample our delicious food and have a ball. And why not make it a full day out as the Hyde Christmas Lights Switch on is just next door on the same day!